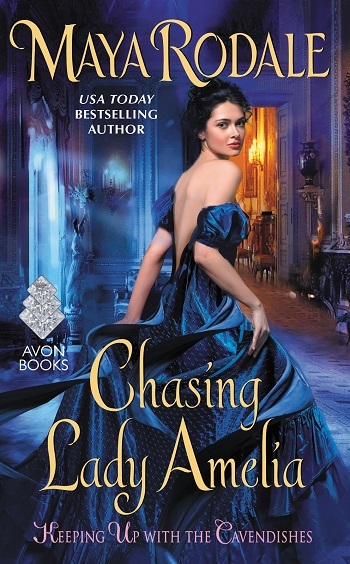 Claire Cavendish is in search of a duke, but not for the usual reasons. The man she seeks is a mathematician; the man she unwittingly finds is Lord Fox: dynamic, athletic, and as bored by the equations Claire adores as she is by the social whirl upon which he thrives. As attractive as Fox is, he’s of no use to Claire... or is he? “Let me see... who shall I pick?” Mowbray made a dramatic show of looking around the ballroom at all the ladies nearby. There were at least a dozen of varying degrees of pretty and pretty hopeless. As a fan of the series and the author, I have to be honest and say this book didn't work for me. Be it my mood, perhaps. But, if I were to sum up the book in a single word, Tedious would be what I would choose. No insult to the author or her work, but sometimes a book just doesn't resonate with a reader. It happens. Usually there is a reason, and in this case, the narrators were the cause. I've enjoyed the slightly zany storylines of past books in the series – the spitfire sisters who took the ton by storm. USA meets London. The thing about acceptance... if you wish to be accepted, then you in turn must provide the same. Lady Claire reminded me of people who had to 'tell' you how important/intelligent/rich/powerful they were, which usually is a sign of just how lacking they are. To be truly intelligent means you don't have to tell anyone – it's obvious in your behavior, interactions, and actions. In dialogue and monologue, I felt Claire's worth was tied to whether or not everyone knew she was smart, and they in turn weren't. I guess my problem was that I found both narrators to be vapid in the opposite of the spectrum. Fox was all about competitiveness – sport and women. Claire found him too simple-minded. But Claire was so hyper-focused on her needs and wants, seeing them as more worthy pursuits, she was not a well-rounded character. Sport and women is most certainly seen as vapid. But just because Claire was an intellectual doesn't mean she had any depth. Brain vs Brawn – opposites attract. I felt Claire insulting to Fox, with Fox merely pretending to find Claire intriguing as he was bored out of his skull. A couple must be equals, yet this was unbalanced, with Claire finding herself far superior to Fox. So their opposite-ness never truly met in the middle. 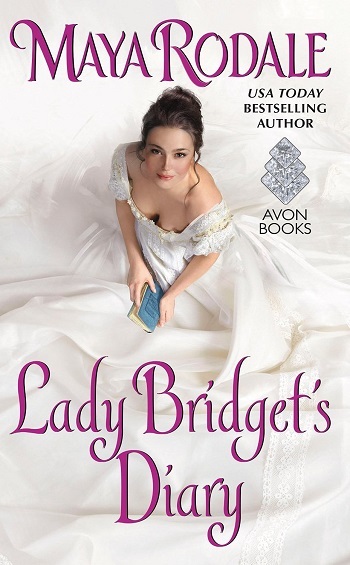 As a historical romance, the storyline is filled with balls, women being restricted, angst with past loves, characters driving a wedge as the conflict, so it hits those notes perfectly. As I stated above – perhaps it was my mood, as I did enjoy the other books. But, as I read, I too felt as if I was sitting through a mathematical lecture. Fox had a one-track mind, win at any cost. With a bet, and a premise to mirror one of my favorite teen movies from the 1990s, She's All That, I thought this would be a winner for me as well. But amid the nonstop inner monologues about how Fox was always a winner in sport and women, as was his reply dozens of times in the book, and his pining for a woman who jilted him, the story was lost among the repetition. There was another narrator in the mix, adding the conflict of the storyline, and I'm not sure how to voice my thoughts on his part, so I won't go there. I didn't know the characters, other than Fox's never losing and Claire's one-track mathematical mind. I wasn't sure how they met in the middle, other than the author telling the reader they did. For me, it felt as if the author forced the characters into one another's orbit, into interactions, and told the readers they were a good fit, but I didn't feel it because it wasn't organic. I don't wish to spiral down the rabbit hole where I turn overly critical as a way to vent my frustrations. I voiced what I did above for those who read as I do (maybe take a pass), and for those who don't (buy the book, as you're sure to love it). If you're a fan of the series, I suggest reading this installment, regardless. I will say I enjoy the author, the series, and the previous books, but this didn't work for me at all. Simply put, I found the story itself tedious to wade through, the narrators rubbed me the wrong way, and I struggled to finish the book. However, I do look forward to more in the series, as there are characters I am curious to read more about. 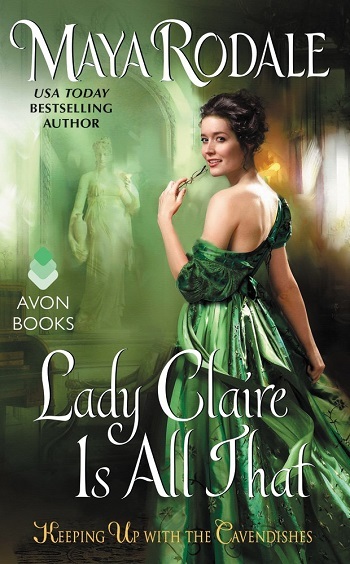 Follow the Lady Claire Is All That Blog Tour HERE. 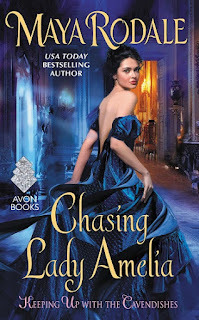 Reviewers on the Wicked Reads Review Team were provided a free copy of Lady Claire Is All That (Keeping Up with the Cavendishes #3) by Maya Rodale to read and review for this tour. Thank you for sharing your thoughts! Have a wonderful holiday!